Vector Construction opened their first office in Thunder Bay, April 1986 over 30 years ago. Company founder Dave Whitmore came into town and started the operation. The overall Vector company was 50 years old last year. Vector Thunder Bay has had a few locations in Thunder Bay, now at Burbidge Street near Leon’s Furniture. The business started out of the back of Dave Whitmore’s truck here. “ Vector in Thunder Bay has done well. We are a specialized contractor. Pulp and Paper has been a big part of our business over the years and still is a good business. Recently we have spent a lot of time and energy diversifying into other areas.” said Jason Thompson Division Manager of Vector Construction. Vector in Thunder Bay have several areas of services including- concrete corrosion, restoration, industrial coatings, masonry construction and restoration, refractory services - lining of vessels, boilers and lime kilns. The concrete area could involve containment areas, pads and corrosion mitigation services. The firm does masonry work including new or repairing existing masonry. They have a lot of technologies to use like carbon fiber reinforcement in concrete. . Traditionally the summer season is the busiest for Vector. In 2016 they have come out of the gates flying and been very busy. Vector will have from 30 to 70 employees working out of Thunder Bay. They are headed with a big team of about 60 to Dryden to work at the paper mill. “ At Vector we spend a lot of time on developing internally, looking at our performance indicators and how we can better engage our customers. A few weeks ago we had a branding workshop where we take our company values and share then with everyone in the company and determine how we can improve. At the end of the day Vector is a company that is built around it’s people. We understand the value of the human asset.” notes Jason. Currently Vector is doing some restoration work at Red River Parkade project. They are also engaging with Pic Mobert Hydro helping them with some work. They have some opportunities in Northern Minnesota and at the local grain elevators. 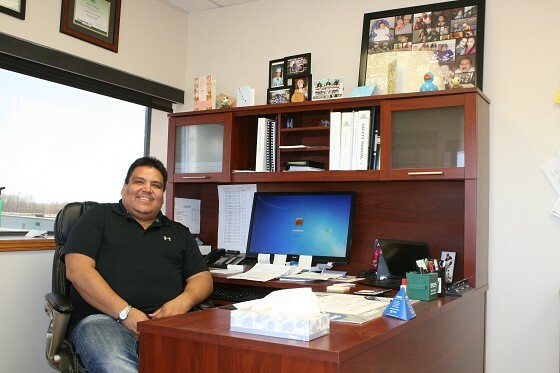 “ We spent lots of time and effort marketing to the sectors of transportation, grain and mining and it is starting to pay off by getting people to realize what we do.” says Jason Thompson. Vector has 9 branches in Canada and the US and sales teams in Europe and Asia. There are 500 people working in the whole company. They have won an award for being one of Canada’s best managed companies.